Today, threats are more likely to come from broad landscape changes that occur when growing populations push housing and commercial developments outward, energy development and large-scale farming fragment and encroach on habitats, and climate change-related droughts and wildfires degrade entire ecosystems. 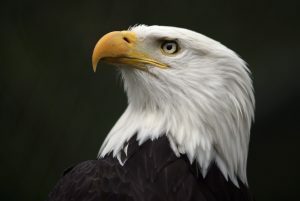 It means the Endangered Species Act, and adequately funded species recovery plans, are needed more than ever before – but also that we must invest in new conservation approaches that help us protect species before they become endangered in the first place. 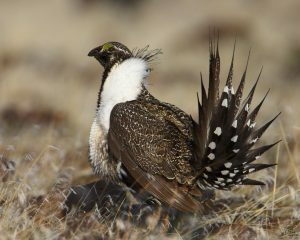 The imperiled greater sage-grouse avoided listing as an endangered species after Western landowners agreed on a plan to protect its habitat. Three quarters of all land in the United States is privately held and, as such, it’s an untapped reservoir of conservation potential. In the mid-1990s, my colleagues worked closely with farmers and ranchers to develop Safe Harbor agreements to tap into some of this potential. They gave landowners incentives to protect wildlife in return for legal assurances they would be shielded from the burdens of a future listing. The idea became a national program that now encompasses 4 million acres. While a “big solution,” however, it’s not nearly large enough. So we worked with producers to develop the next innovation – a program called habitat exchanges, dubbed “Airbnb for wildlife.” In a habitat exchange, landowners earn conservation credits by creating habitat on their property, revenues with billions in potential for farmers and ranchers. In 2016, this habitat crowdsourcing program was adopted in Nevada, Colorado and Wyoming to protect the greater sage-grouse. The bird’s 11-state range overlaps some of the highest oil and gas producing regions of the country that are also prone to drought and wildfires, exemplifying the complex challenges many species face today. 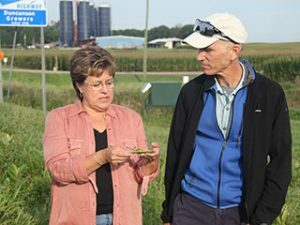 Farmers and ranchers are stepping up to restore and enhance breeding and nectaring habitats along the monarch butterfly’s great migration. Unlike the bald eagle back in the 1970s, the sage-grouse was never listed as endangered. To keep the bird off the list, landowners instead agreed on a plan that is working better for the bird and for people. Similar efforts are under way in California for multiple species, including Swainson’s hawk, Chinook salmon and monarch butterflies. Such innovative solutions won’t replace the Endangered Species Act, a critical backstop needed to keep American species from going extinct. But they can complement the law and, if expanded, keep the endangered species list from growing bigger than it is today. From my office window in downtown San Francisco I can now watch falcons hunt pigeons, something we just didn’t see back in 1973, the year President Richard Nixon signed the ESA. The falcons are flying again because the law worked as intended. Let’s celebrate and defend the strong policies and innovative programs that make conservation work efficiently and effectively, while continuing to push for solutions that work for nature as well as people. This post originally ran on EDF Voices and is used with permission. This entry was posted in ecosystems, Habitat Exchange, Partnerships, Wildlife Protection and tagged california, Chinook salmon, colorado, Endangered Species Act, endangered species act success stories, ESA, greater sage-grouse, monarch butterfly, Nevada, Safe Harbor, Swainson's hawk, Wyoming. Bookmark the permalink. Both comments and trackbacks are currently closed.